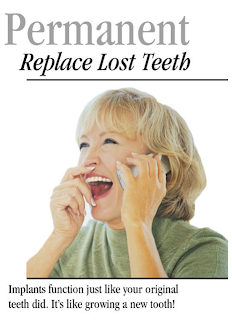 Missing teeth can cause difficulties in chewing and make you self-conscious about your smile. 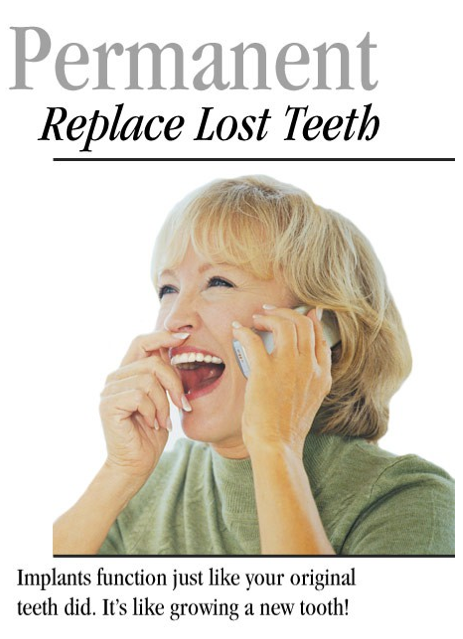 We have an excellent solution – dental implant restorations! After an oral surgeon places a titanium post, Dr. Colkmire will custom-create natural-looking restorations. These will match the rest of your teeth, function just like the originals, and be impossible for anyone to detect! Get the smile you deserve – permanently! We can design and fit natural-looking dentures that won't slip! This breakthrough involves anchoring the denture plate so securely that you no longer have to worry about the foods you eat or that your dentures might shift or slip. If you are a denture wearer, be sure to ask us about this. It will make your life so much easier. Our One of the biggest complaints our patients have about their dentures is that they slip, tilt, or wander too much. They often ask about the strength and stability of implants. We’re thrilled about a relatively recent breakthrough called overdentures. This procedure allows us to anchor your denture with implants, eliminating slippage and trapped food. Our experienced dental team can give you a great fit along with a great look. Increase your confidence and have even more reason to smile. If you have questions about dental implants or dentures, our dental team would be happy to help you. Give us a call at (941) 359-2151.